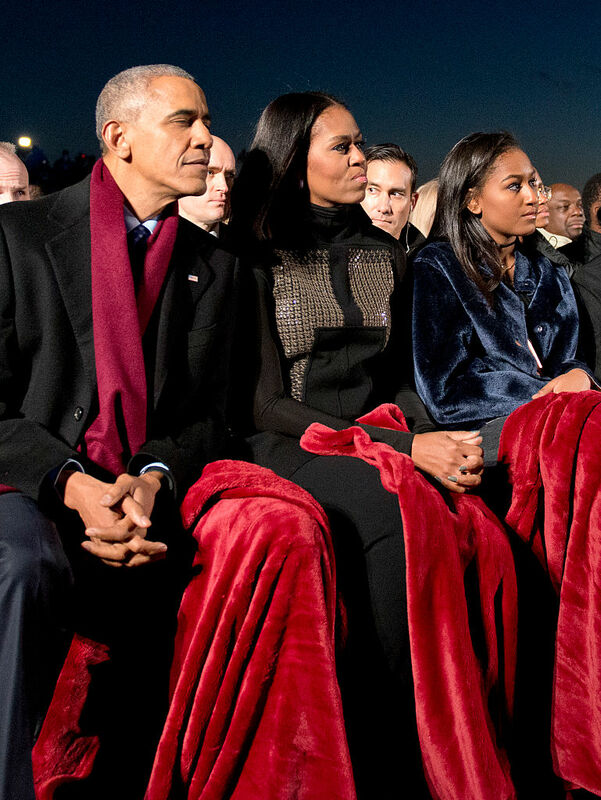 Michelle Obama knows how to dress up like a boss. 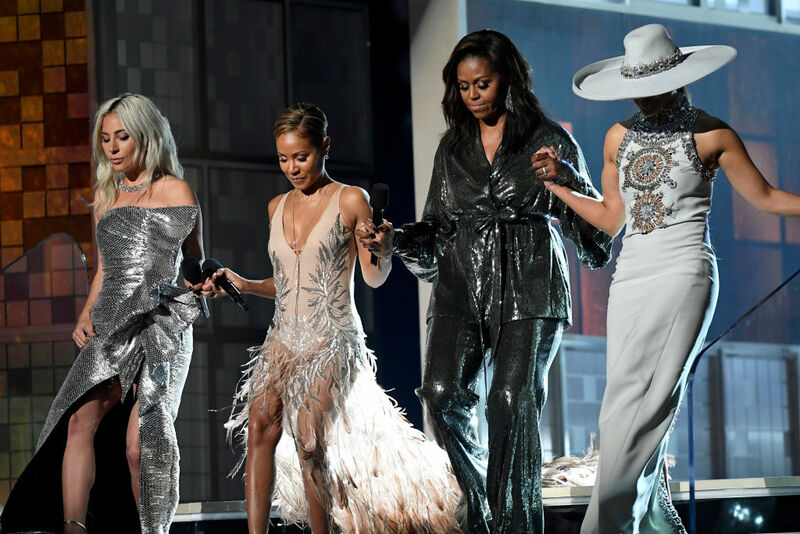 The former first lady recently lit up the stage in a crystal-embellished suit while promoting her best-selling memoir, 'Becoming', in Copenhagen, Denmark. The 55-year-old wore a $2,310 light pink suit by local Danish designer Stine Goya to visit the Royal Arena on Tuesday evening. Her pink blazer and straight-leg dress pants were full of crystal embellishments that captured the light every time she moved. She further accessorized the sparkly dress with a pair of metallic gold heels, matching it up with hoop earrings that peeked out from underneath her dark brown waves, in addition to the diamond bands on her fingers. 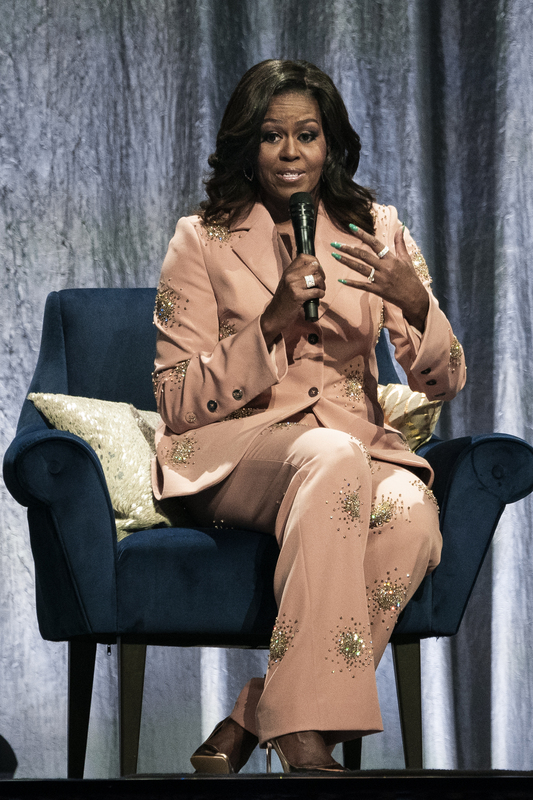 Michelle has never been one to shy away from being fashionable, and as if to prove the point, she sported long nails that were lacquered with jade green polish in a bid to complement her blush-colored suit. The event, which is one of the author's six European stops on her book tour, was moderated by celebrity chef and talk show host Rachael Ray, reported Daily Mail. 'Becoming' is a three-part personal memoir that navigates through Michelle's roots growing up in the South Side of Chicago, her life as First Lady in the White House, as well as her role as a mother raising daughters Sasha and Malia. The book is the first of a two-book deal signed by Michelle and husband, former president Barack Obama, made with Penguin Random House in 2017 for a reported $60million. It was previously reported that the book is on track to become the best-selling memoir of all time. The former US first lady released her memoir in November 2018, and it shot to the top of bestseller lists immediately, selling 725,000 copies in the US and Canada on its first day. Penguin Random House, Michelle's publisher, said that the book has sold more than 10 million copies, including hardcover, audiobooks, and e-books, since its release and that it can easily make the record for the best selling memoir in history. "I’m not aware, in my personal experience with Penguin Random House, that we ever sold 10 million units of a memoir," Markus Dohle, Penguin Random House’s chief executive, said. The book already has quite a few accolades to its name, since it was named the best-selling hardcover book of the year. Moreover, the book sold two million copies in North America within 15 days of its release, making it the fastest-selling book of 2018. The presale stats for the book were so good that Amazon predicted it to be a No. 1 selling book even before its release date. 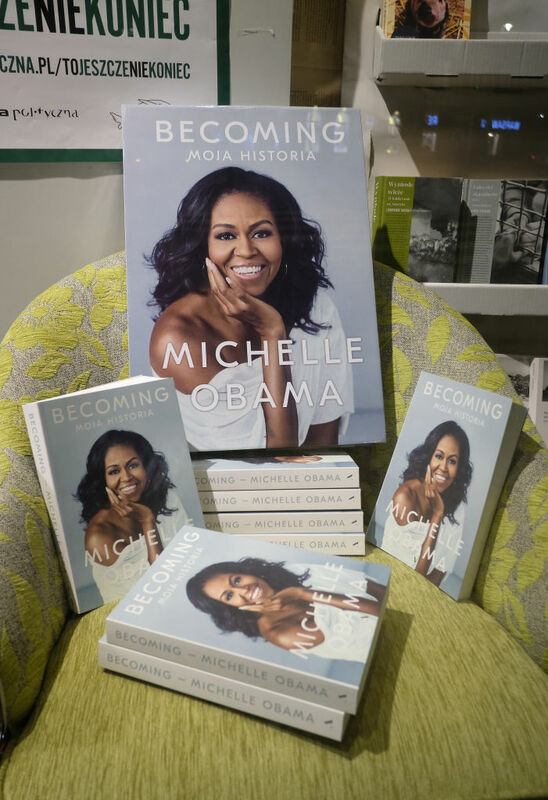 The book is definitely a hit, but Michelle's popularity and sales were further bolstered by interviews with celebrities like Oprah Winfrey, Reese Witherspoon and Sarah Jessica Parker during a nation-wide book tour. It was a highly successful tour, as it started out with just 10 days and an additional 21 were added, with tickets starting at $29.95. However, the prices were later spiked up by thousands, in order to accommodate for the special VIP access.